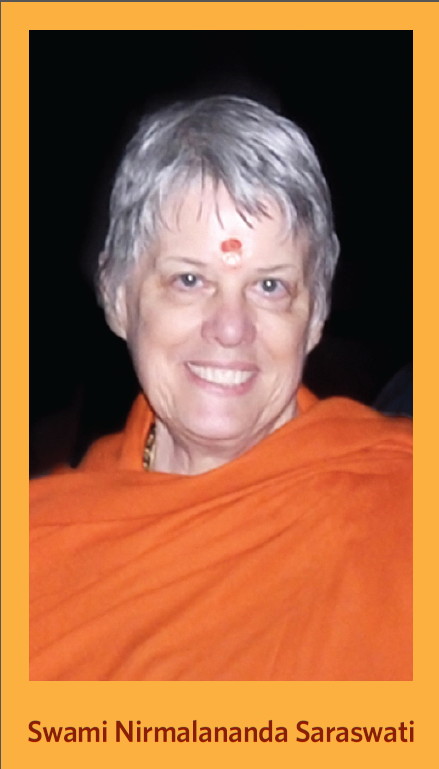 You may receive the enlivened mantra from Swami Nirmalananda even if you are not able to meet her physically. The blessings of Grace pervade the boundaries of time, space and geography so that you can gain the inner access to your own Divinity that this tantric tradition is noted for. The card gives you the mantra of our lineage and explains its meaning as well as how to use it. Swamiji's photo is on one side. She says, "If you accept this gift, it will give you everything. it did for me." She can make this promise because her Guru gave her the same promise and made it true. He authorized her to give the mantra, so the same blessing comes to you, personally and individually. Available to individuals only, one per person. The mantra card is the size of a business card (2x3"). While it is free, you will pay the costs for mailing it to you. Click here to order.